Most years, picking Academy Award winners can be pretty straightforward. There’s a movie that’s heads and tails above the rest and you can hit a pretty high percentage of correct predictions by picking that movie as the winner in every category it’s eligible in. You’re not going to hit them all, but that’s okay. 2015 isn’t one of those years because instead of one lead movie, you could make a reasonable argument for four different films – the Leonardo DiCaprio led The Revenant, the Matt Damon led The Martian, George Miller’s post-apocalyptic adventure Mad Max: Fury Road and the journalism ensemble film Spotlight – to be the presumptive favorite. If you absolutely can’t get enough Oscars talk – and I know I can’t – check out this podcast from Hill Country Film Festival alumni filmmaker Nathan Crenshaw and his podcasting partner Kory Hill. The Filmventure podcast is a great fun ride to listen to and gets my highest recommendation for those times you’re driving around town and need something enjoyable to listen to. Check them out at http://filmventure.libsyn.com. Episode 23 is their Oscar nominations pod. I’ve included their picks to win if you don’t have time to check out their podcast, which you should do anyway. You can sleep when you’re dead. This category is ultimately a two horse race with Best Picture contender Spotlight leading the way and sci-fi thriller Ex Machina on the outside. The underappreciated Straight Outta Compton blew everyone away with how well of a film it actually was as opposed to how bad it could have been and is just as much of a surprise as the sleeper hit Ex Machina, if not more so. It’s strange to think that neither of the leading contenders for Best Picture – Mad Max: Fury Road or The Revenant – received an adapted or original screenplay nomination since that typically feels like a given based on Oscar history. What is left in the adapted category is a wide assortment of top films that all have winner potential, but this award has to go to a film that took overly complex financial concepts and made them understandable for wide audiences. A lot of CGI work was done by four of the nominees in this category, but only one used 90 percent practical effects to mesmerize audiences, making George Miller’s post-apocalyptic epic a no-brainer. Short films are such a crap shoot for 99.9 percent of Americans (like me) because we haven’t seen any of them. This is just a guessing game. Sanjay’s Super Team debuted in front of the Pixar film The Good Dinosaur and World of Tomorrow is on Netflix, but again, total crapshoot. It’s a shame that Brooklyn isn’t nominated here over Bridge of Spies with its superior vintage feel, but the film is way underappreciated as a whole. This is either Mad Max or The Revenant with an outside shot for The Martian. Do yourself a favor and Google Spectre, the unreleased title track from the Bond film of the same name by Radiohead. It’s the best song associated with the latest James Bond movie and FAR superior to the whiny, bland Sam Smith song Writing’s on the Wall that will ultimately take this category. Diane Warren plus Lady Gaga for Til It Happens to You is a great combination among the actual contenders. Legendary composer Ennio Morricone, known for his iconic scores to the Clint Eastwood Man with No Name trilogy and Once Upon a Time in America, has never won an Academy Award in this category despite five decades of masterful work. This feels like a sure thing. There’s only two options of note here and either could win, but my bet is that voters will appreciate the more striking makeup of Mad Max over the more subtle looks of The Revenant. Nobody has really seen any of these movies, especially your average Oscar voter, and the win will go to the film that everybody has heard of since it’s on an awards winning streak. Perhaps the most underrated element of The Big Short is how rapidly the film jump cuts through scenes and uses superior editing to help set viewers up in the time period with quick snippets of pop culture references. It’s also the nominee easiest to pick out the work of the film editor, which helps voters who don’t normally pay attention to the way a film is pieced together. Perhaps the best slate of documentaries in quite some time, this year’s Oscar nominees pack a lot of firepower, from the dynamic biography of Amy Winehouse filled with exclusive performances and home movies to the spectacular looks at the war against a Mexican drug cartel in Cartel Land and peaceful student revolutionaries in Winter on Fire. The boys from Filmventure, mainly Kory, are wrong when they make it sound like these films aren’t worth watching. Some of the year’s best filmmaking can be found in this category and three of the nominees – Cartel Land, What Happened Miss Simone? and Winter on Fire – can all be found on Netflix. Let’s start with the elephant in the room here. No Ridley Scott in this category is a downright shame, especially since The Martian was absolutely dominant at the box office AND was one of the three best films of the entire year. It’s a snub at the same level as Ben Affleck getting passed over for Argo. Absolutely no reason for it. That being said, this category should be simple, but isn’t. Alejandro Inarritu would have won this category hands down if he wasn’t just coming off a win in the category last year. There’s too many other talented directors in this category for a repeat. George Miller created a world unlike anything we’ve seen in Mad Max: Fury Road, a movie nobody saw coming until Cannes. But this will be a major surprise win for Adam McKay, who helmed a film based on economic concepts the vast majority of Americans still don’t understand. Not only does The Big Short make credit default swaps, mortgage bonds and massive fraud on Wall Street relatable for the average viewer, but it’s entertaining as hell to boot. 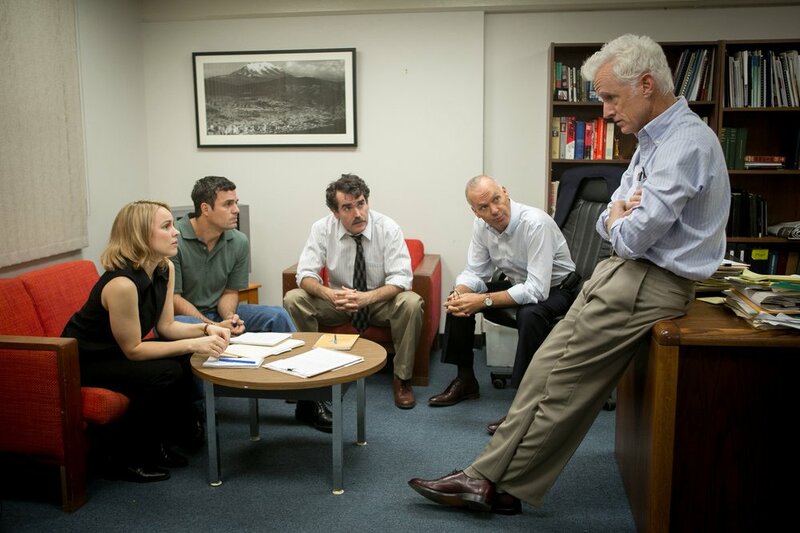 The film’s upset win at the Producers Guild Awards could be a preview of major surprises to come. Again, this is another category that Brooklyn deserves to earn a nomination for, but among the actual nominees, a win for Mad Max or The Revenant could foreshadow a Best Picture win. Probably, this will be an opportunity for the Academy to honor Carol or The Danish Girl, which will likely be shut out of the acting awards. Emmanuel Lubezki – winner in this category the last two years for Gravity and Birdman – will win again. 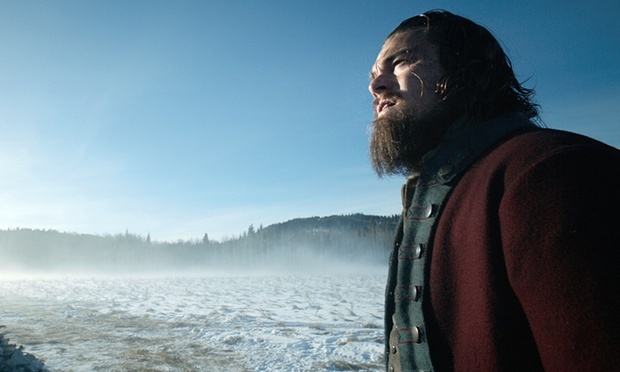 The expert use of natural lighting in The Revenant far outshines all the other nominees in the category. Just watch a trailer. You will agree. One of these days, it will be easier to choose a winner in this category when all the nominees are widely available. This year is not one of those years, but thankfully, the front runner and eventual winner is the biggest animated film of 2015, Inside Out. 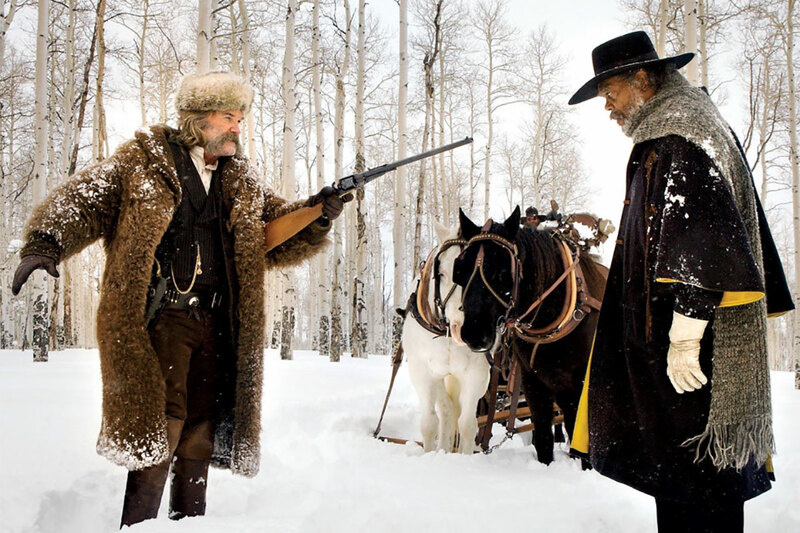 Jennifer Jason Leigh gets the absolute crap knocked out of her all throughout Quentin Tarantino’s The Hateful Eight and while the performance will have its supporters, the film as a whole feels far too violent and brutal for Leigh to get the serious consideration she deserves. Ultimately this will be a two-horse race between Alicia Vikander for The Danish Girl and Kate Winslet for Steve Jobs. Even though Winslet won the Golden Globe, Vikander may be the favorite for a performance few Americans outside the Academy have seen. Sylvester Stallone will be the sentimental choice here for his solid performance as his famed boxed Rocky Balboa in Creed. The Academy’s desire to honor a film with diversity following the events of #OscarsSoWhite should help propel this performance to a win. That being said, Tom Hardy is an absolute revelation as the antagonist fur trapper Fitzgerald in Alejandro Inarritu’s The Revenant in a performance that few are talking about with Leonardo DiCaprio’s run at a first Oscar win and the stunning visuals dominating every conversation about the year’s best film. Brie Larson is a terrific actress and sneaky good in the Amy Schumer-led Trainwreck. She’s also the presumptive winner for Best Actress for her performance in Room and nothing I say can dispute that, since like most of America, I haven’t seen the film myself. Larson is winning this category at every awards show around, so this should be simple. Saoirse Ronan (it’s pronounced ser-sha, like inertia) offers the year’s best performance by a female, leading or supporting, that I’ve seen for her work in the romance film Brooklyn and it’s just a shade below DiCaprio for the year’s single best performance. Run see this film as soon as you can. In another year, Matt Damon should win for his all-encompassing performance in The Martian, a movie that just completely bombs in the hands of almost any other actor. But this is DiCaprio in The Revenant. Everything that needs to be said about his work in this film can be found here https://cinematicconsiderations.com/2016/01/13/the-revenant-dicaprios-lead-performance-oscar-worthy/. Bet you won’t see this one coming. There’s an outside chance – I’d put it at like 20 percent – that a film many would think the studio behind the film, Paramount Pictures, is just happy to be nominated will end up winning the whole shabangabang. Don’t discount my upset special, which will need things to break right for it to have a clear shot. If Mad Max and The Revenant split votes from Academy members who can’t come to a decision on a clear-cut victor, then a secondary faction strongly behind another film may have a chance. That being said, a betting man would probably put their money on The Revenant, and that’s the best option on the board.